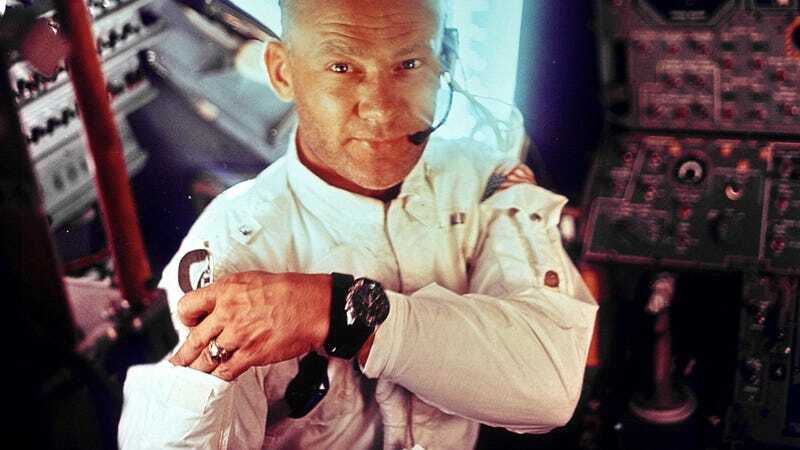 See those glasses in Buzz Aldrin's left hand? They're not Ray Bans, they're American Optical Pilots made right here in the USA. These—not some Italian-crafted designer shades—are the glasses that went with Neil and Buzz to the lunar surface on Apollo 11.